Where is the best place to buy groceries, fresh produce, fish, beef, souvenirs? Our favorites are listed below. Do you prefer to eat local organic food? Are you vegan or do you have food intolerances such as wheat/gluten/dairy? Do you want to save money by buying just the right quantity in bulk foods rather than a whole jar or package of something? Perhaps you are looking for a good selection of Hawaiian Sea Salt. 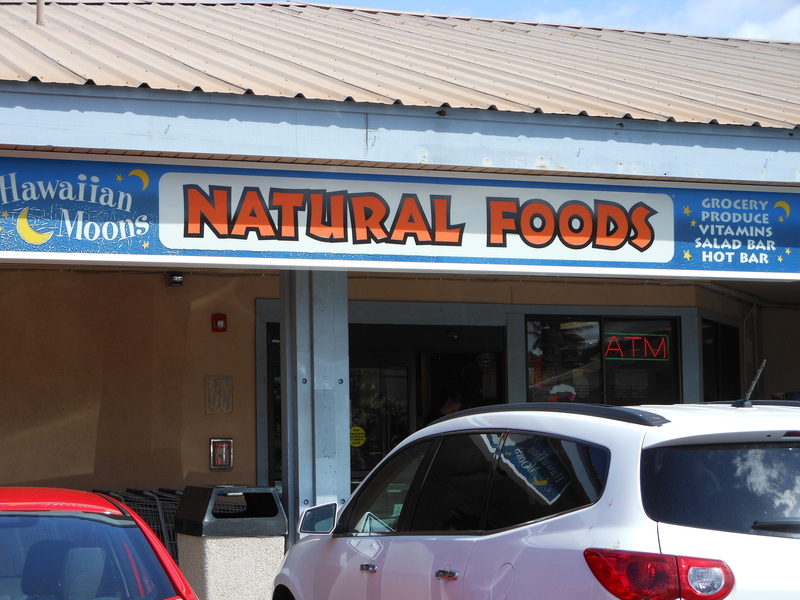 If so, Hawaiian Moons Natural Foods is the place for you. Just a few minutes walk south of Maui Vista 2418, Hawaiian Moons is located at 2411 S. Kihei Road and has a nice selection of local produce, organic meats and bulk foods. 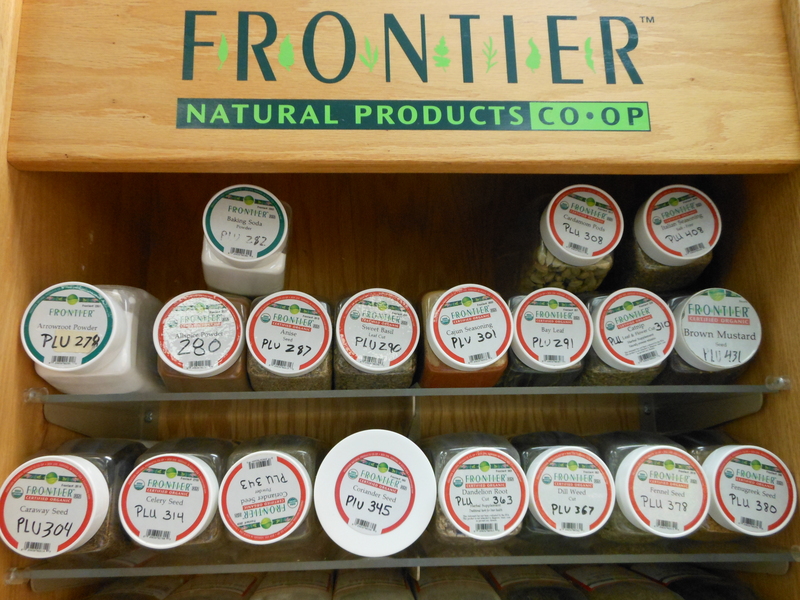 They also have a hot lunch bar and an extensive supply of dietary supplements and natural remedies. Although we provide a fairly extensive carousel of spices at our condo, you might find you only need a teaspoon of something different. Why spend $6 or more for a whole jar at another store when you can spend less than a dollar at Hawaiian Moons for the quantity you actually need? Aloha! When I first walk into any Maui grocery store, I am in sticker shock over the price of a gallon of milk, butter, yoghurt and bread. However, a little experience goes a long way and I don’t think I spend much more on food on Maui than on the mainland because I employ the shopping techniques listed below. Also, since the weather is warm, I eat differently than back on the Mainland and don’t need so much of the high priced imports! 1. Don’t buy what you don’t need. Take a look around the condo before you make your list. You might find a few things in the kitchen that folks have left behind. Also, we generously stock the hall closet with paper products and have a drawer in the bathroom with various items. We do this so you don’t have to spend $6 for four rolls of T.P. at Foodland! We also prefer you use our supply of laundry detergent. It is the right kind for the washer. 2. Take a few minutes to comb the sale flyers on the Internet for Foodland, Safeway and the Times Market. Start your grocery list based on what’s on sale at a couple different stores. If you will be here for a week or more, you might consider a Costco run…especially if you want alcohol and/or fish. Local fish can be VERY expensive… $25 per pound when I last checked the local market called Eskimo Candy. It’s about half that at Costco and much of it is wild caught in Hawaiian waters. 4. 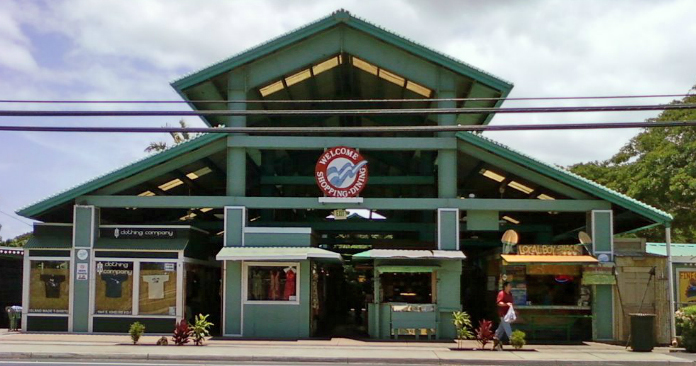 The nearest “farmer’s market”(which is really a family owned produce stand) by the Aloha Outdoor Market is just past Foodland on the Makai (water side) of the street. It’s open daily, but has different operators and therefore different produce on Wednesdays and Saturdays. Regardless of the day of week, this is by far, the cheapest and most local produce around. Go there first and put your produce in the cooler before you proceed to the grocery store. Then, go to your other two stores knowing in general, Safeway has the best sale prices. I find Safeway is large enough so that one brand of just about anything I need is on sale. 7. There is no need to buy bottled water (also imported from the Mainland). Maui gets its water from the local mountains and it tastes fine. There are four plastic water bottles in the cabinet opposite the freezer. 8. Check out the local products at Long Drugs. I had been in that store a dozen times before I realized it has organic grass fed Maui beef in the refrigerator in the back, local produce just across the aisle from the beef and Hawaiian ice-cream in the freezer case near Checkout Stand #2. Be daring and try the Melona bars (actually Korean). Much like a healthy fruit popsicle with a dash of sweet cream. While you’re up front, check out the bread products by Checkout Stand #1. The sale price and quality is often hard to beat. If you’re willing to do a little planning and be flexible, you don’t have to spend a lot of money on food to eat really well. Aloha! Many stores on Maui sell the exact same souvenirs, but at different prices. We’re talking about T-shirts, key chains, jewelry, and other nick-knacks. 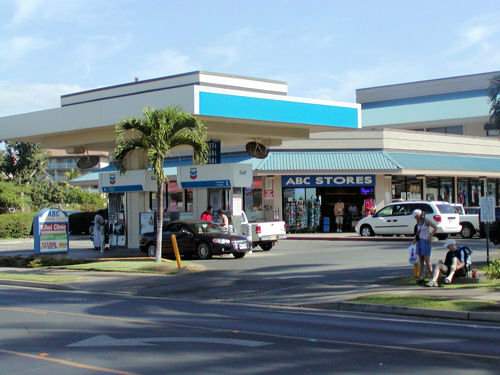 If you want to buy souvenirs within walking distance of Maui Vista 2418, the cheapest place for mass produced items is at the ABC store just a couple blocks to the south on South Kihei Road. 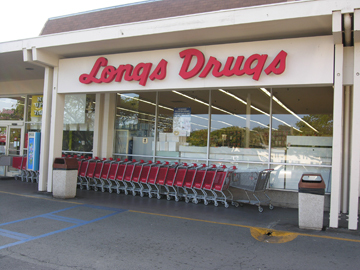 If you don’t mind driving a bit, consider Long Drugs which is about 1.5 miles north on South Kihei Road. You will find a few Maui made products and many of the same items that are sold in the ABC store, but for less money. Closer to the airport, you can find the same products again at Walmart. It has a huge selection of souvenirs on the left-hand side of the store (just past the McDonald’s). The prices are very good but, like those in the ABC store and Longs Drugs, most of the products are not made on Maui. If you’re going for mass quantities of macadamia nut products or aloha shirts, you might consider Costco which is also near the airport. Unfortunately, unlike some mainland Costco’s, this one doesn’t provide day passes – so you have to be a member to shop. If you want to take pineapples home, we have one renter who told us she bought 100 pounds from Mr. Pineapple. She said they were fabulous and the on-line reviews say the same. Mr. Pineapple (located at 370 Dairy Road on your way to the airport) guarantees the airlines will allow you to check their products as luggage FOR FREE – although if you find one as large as the one in this photo you could have a problem. 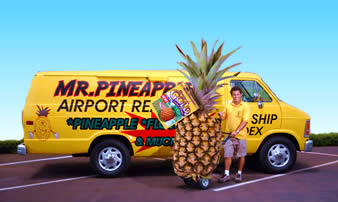 You might also find a 10% off coupon for Mr. Pineapple on line. The bottom line: when it comes to buying souvenirs on Maui, it pays to shop around. 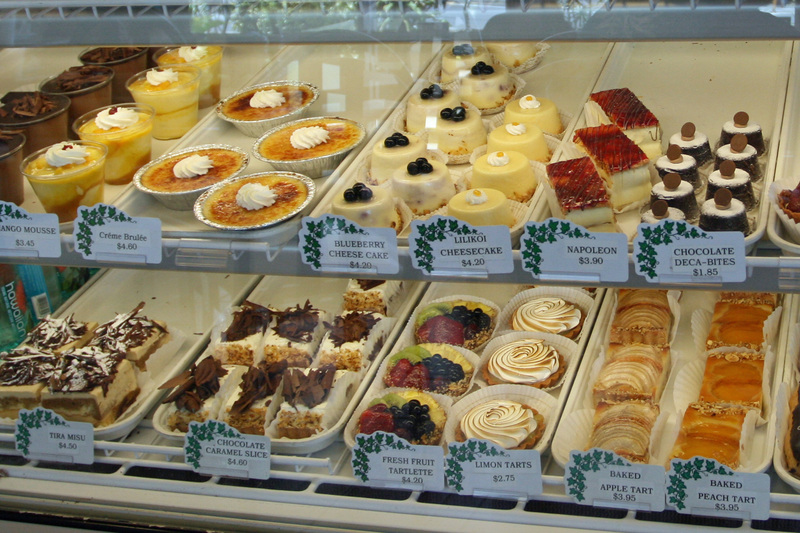 Stillwell’s Bakery & Cafe at 1740 Kaahumanu Ave, Wailuku has fabulous pastries, cakes, pies, breakfasts and lunches. It’s not handy to Maui Vista, but, if you’re in the Kahului/Wailuku area it’s a great stop for a treat or a morning/mid-day meal. Check out the pastries in the photo! We’ve never had breakfast there but, if the breakfasts are as good as the lunches, you won’t be disappointed. Before you head out to the store for the first time, check the cupboards, freezer and frig to see what might already be there. This may save you from buying things like salt and pepper, butter, paper products, detergents and more. Since Maui banned the plastic bag in 2010, you will need to bring some of the cloth bags supplied in our condo. I also ALWAYS bring the cooler (located in the hall closet) and ice packs from the freezer. 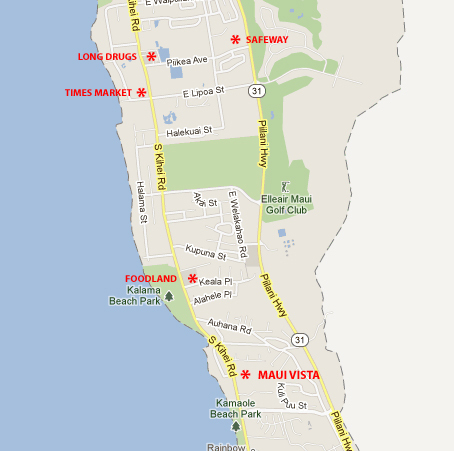 Foodland is the closest grocery store to Maui Vista. (See map below.) You can walk there in ten minutes – ok if you’re not carrying too much on the way back. Convenience comes at a price – literally. Most things at Foodland cost more than other grocery stores and we think the choices are more limited and the produce not always the freshest. If you go to Foodland, be sure to bring the Makai card attached to the condo key in order to get the sale prices. Safeway is the best bargain for everyday items (except produce). It’s a short drive just off the Piilani Highway at Pi’ikea Street. Times Market, a couple of miles north of Maui Vista on South Kihei Road, often has good specials. Look for fresh fish and produce. But don’t expect to save money on everyday items. Check out the sale items that look good and then finish your grocery list at Safeway. A drugstore for groceries? See the bakery items at the front of Long Drugs. Then, go to the very back and there, between the pharmacy and the booze, is a small section of produce and Maui raised beef. The beef is organic and grass-fed. If you’re making hamburgers, get the 85% lean – we think the extra lean is too dry. Also, local growers drop off produce on the way to the farmer’s market several days a week. The prices are about half that of Safeway and the quality is usually top notch. Almost everything is expensive on Maui. Check out our tips on grocery shopping, affordable restaurants, souvenir shopping and taking advantage of the many “extras” in our condo which can save you LOTS of money.